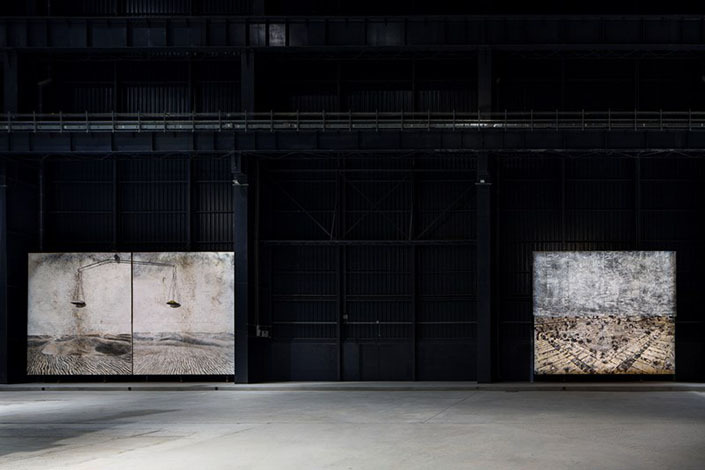 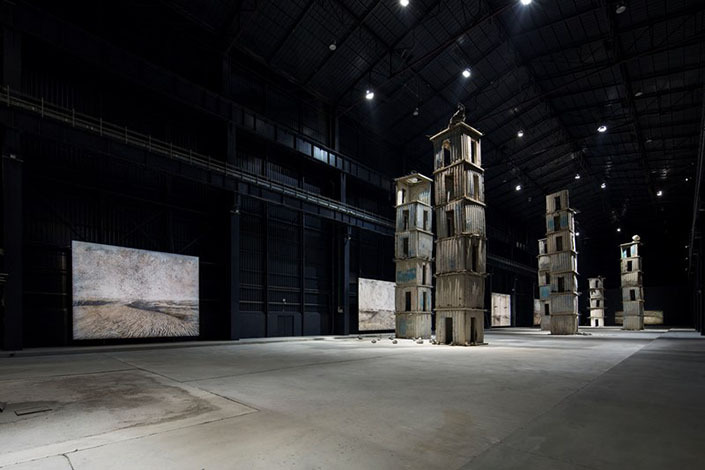 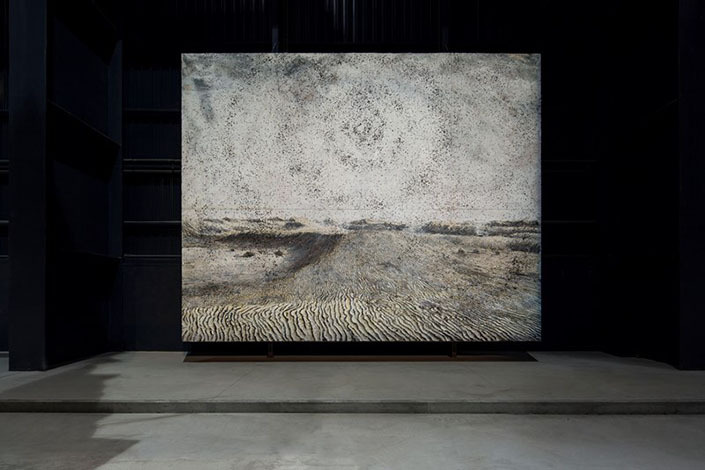 On 25 September 2015 Pirelli HangarBicocca unveiled the new installation by Anselm Kiefer: the new display, curated by Vicente Todolí, is an expansion of The Seven Heavenly Palaces, the permanent work conceived for the opening of Pirelli HangarBicocca in 2004 and based on a project by Lia Rumma. 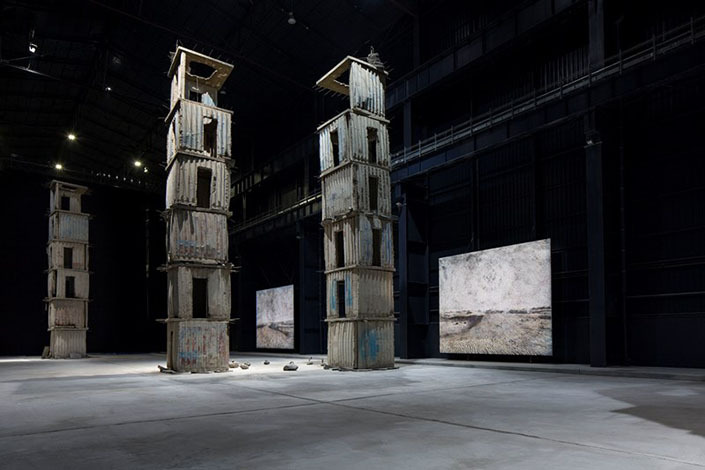 Together with the seven “towers” – now open for the public to walk through – five large-format paintings, made between 2009 and 2013, will form a single installation entitled The Seven Heavenly Palaces 2004-2015. 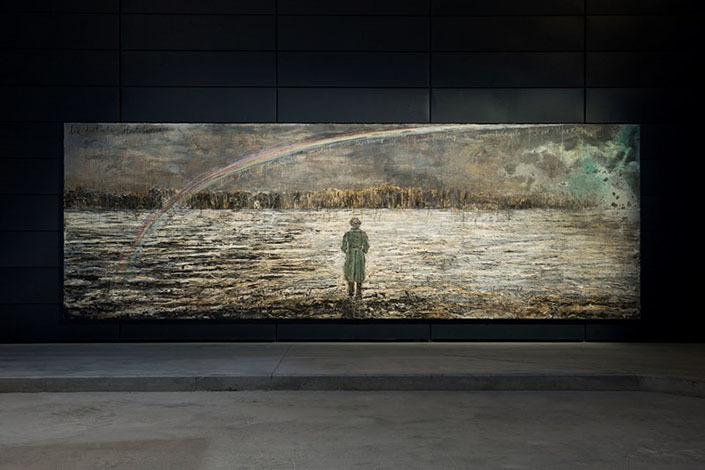 Five large paintings are on show in the space of the “Navate” that contain The Seven Heavenly Palaces, adding to the permanent installation and giving new meaning to Anselm Kiefer’s masterpiece. 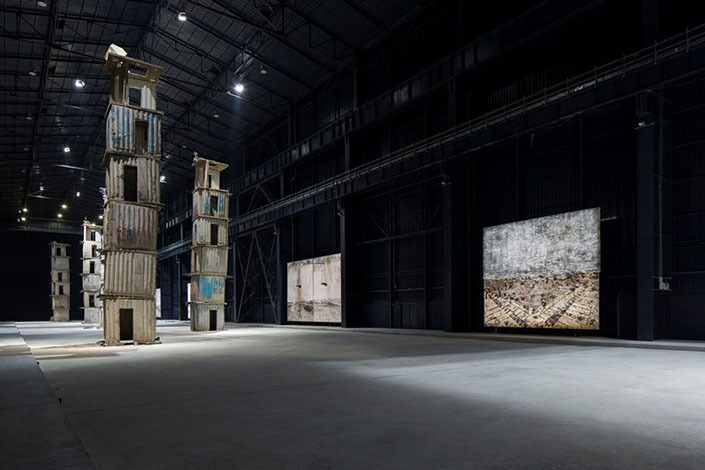 The paintings are Jaipur (2009); two works of the series entitled Cette obscure clarté qui tombe des étoiles (2011); Alchemie (2012) and Die deutsche Heilslinie (2012-2013). 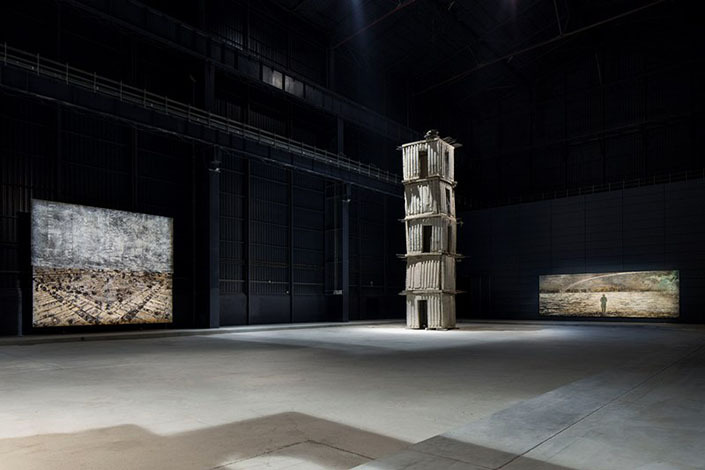 Using the language of painting, these works make reference to some of the themes already present in The Seven Heavenly Palaces, including the great architectural constructions of the past viewed as an attempt by man to ascend to the divine, with the constellations represented by means of astronomical numbering. 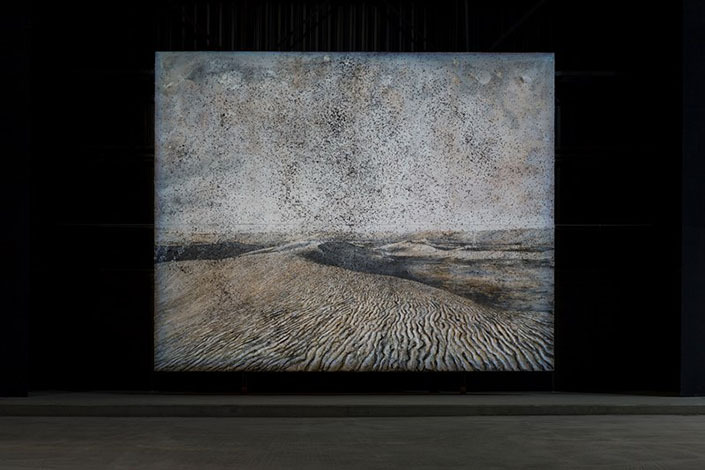 They also add a number of considerations that are key to the artist’s poetic vision, including the relationship between man and nature, and references to the history of ideas and of Western philosophy. 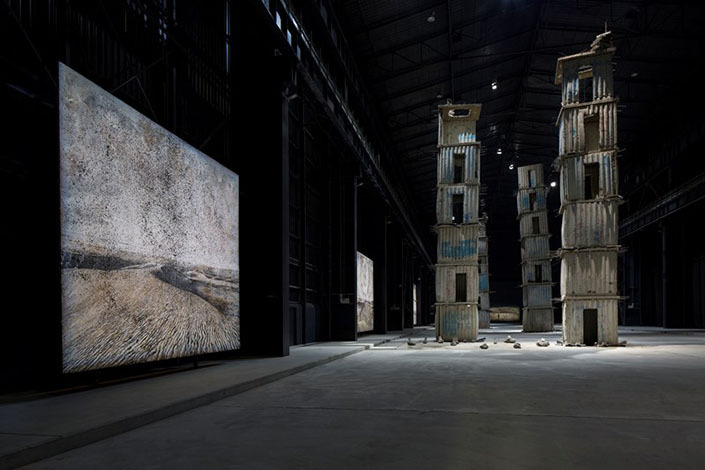 Anselm Kiefer (born in 1945 in Donaueschingen, Germany) first exhibited his works in 1969 at the Kunstverein in Hanover. 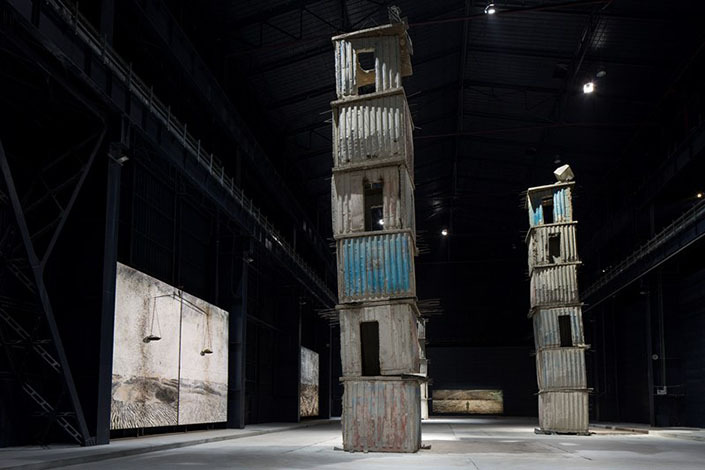 Over the years many international institutions have put on solo and retrospective exhibitions of his work: Stedelijk Van Abbemuseum, Eindhoven, The Netherlands (1979); Musée d’Art Contemporain, Bordeaux, ARC/Musée d’Art Moderne de la Ville de Paris, Paris (1984); The Art Institute of Chicago, Philadelphia Museum of Art, Philadelphia, MOCA, Los Angeles, and MoMA, New York (1987); Neue Nationalgalerie, Berlin (1991); Museo Nacional Centro de Arte Reina Sofía, Madrid, The Metropolitan Museum of Art, New York (1998); Galleria d’Arte Moderna, Bologna (1999); Musée d’Art Contemporain de Montréal, Canada, The Hirshhorn Museum and Sculpture Garden, Washington D.C. and the San Francisco Museum of Modern Art (travelling exhibition, 2005-2007); Guggenheim Museum, Bilbao, Musée du Louvre, Paris (2007); Royal Academy of Arts, London (2014). 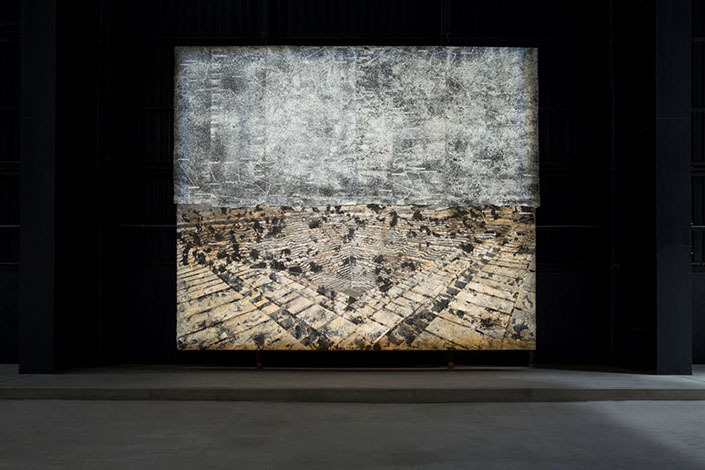 He has twice taken part in Documenta (1977 and 1988) and in the Venice Biennale (1980 and 1997). 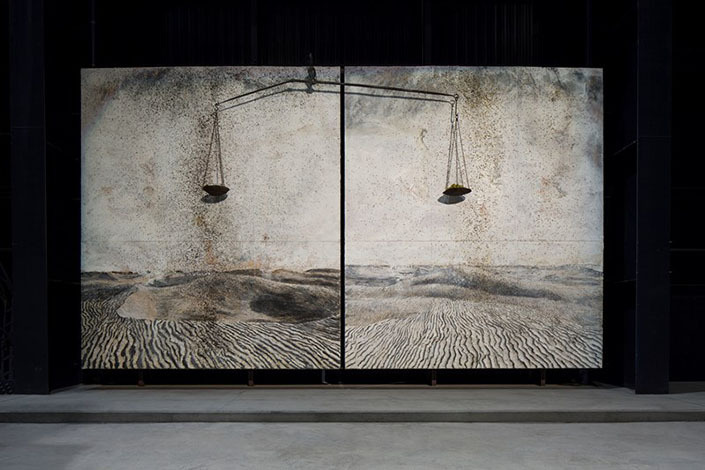 In 2007 the Musée du Louvre commissioned Kiefer to create a new work for its permanent collection and, in the same year, he made a site-specific installation for Monumenta at the Grand Palais in Paris.